Shopping for a compact crossover SUV is like looking through the menu at most popular chain restaurants: choices abound. The most popular crossover SUVs come in a few flavors that aren’t always easy to directly compare. To help out, we’ve put our shopping shoes on and picked the configurations of some of the most commonly researched models on the market, such as the Honda CR-V, Nissan Rogue, Mazda CX-5, Chevrolet Equinox, and Ford Escape. 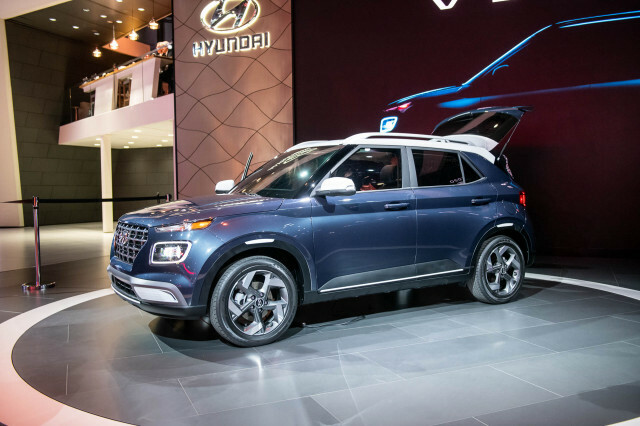 These compact crossovers have more interior space than pint-size ‘utes such as the Subaru Crosstrek and Ford EcoSport and they represent the fastest-growing segment in the car industry as buyers trade sedans in for high-riding crossover SUVs. 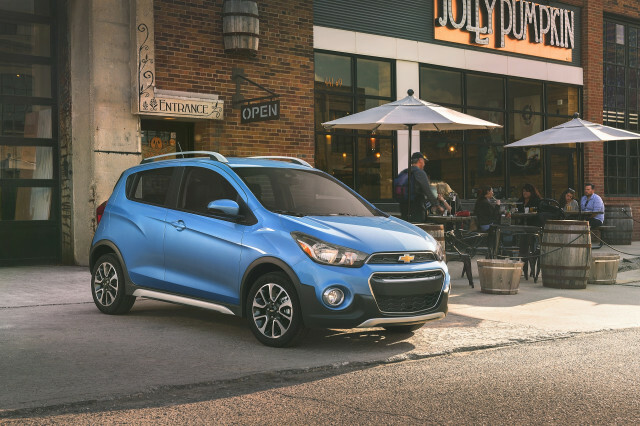 It’s up to your needs, your pocketbook, and a full day of test-driving to determine which compact crossover SUV makes the most sense for you, but we hope that this guide will help whittle down your list. Consumers often think that high-riding crossover SUVs are safer than sedans. 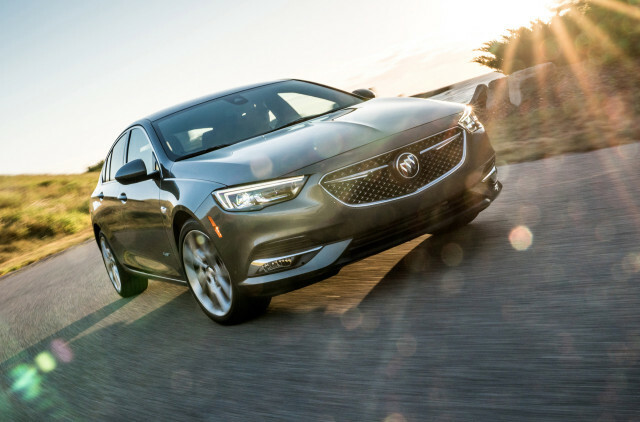 That’s not always the case, but many of the latest models are loaded up with collision-avoidance tech and have earned top marks from federal and independent crash testers. 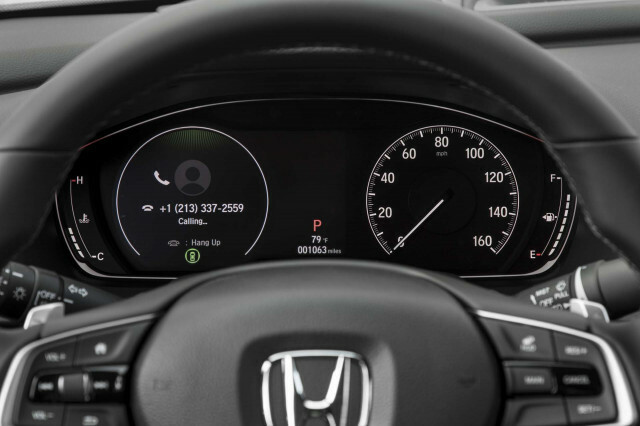 For 2019, the Honda CR-V, Subaru Forester, Nissan Rogue, and Toyota RAV4 all come standard with automatic emergency braking and active lane control. Unfortunately, not every rival has gotten the message that safety sells. Look for that gear on the Chevrolet Equinox and GMC Terrain and you’ll have to look at higher trim levels. What we’d buy: When it comes to safety, we’re always willing to pay for more. Opt for any crossover SUV with automatic emergency braking and good crash test ratings and you’re making a smart choice. 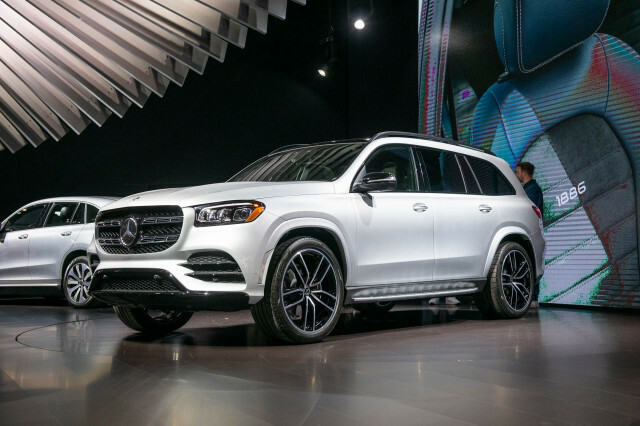 When most buyers sort through the myriad trim levels and option packages on any crossover SUV, they often wind up in a configuration designed to be the best balance of value and features by the automaker’s product planners. That’s no easy task for those teams back at the corporate office, since what’s important in some markets—heated seats in New England and sunroofs in Los Angeles, for instance—aren’t priorities to everyone. 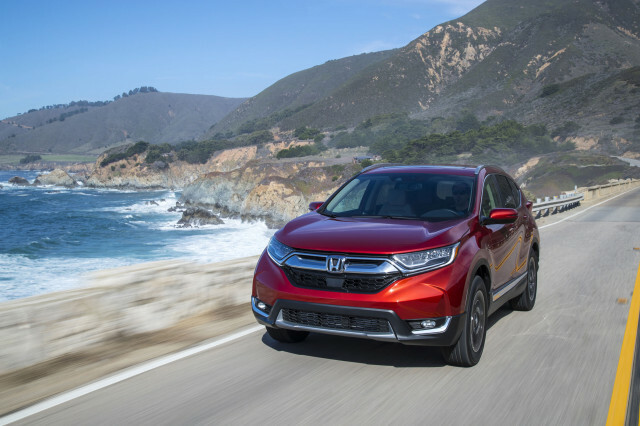 2019 Honda CR-V EX: $28,045 (plus $1,400 for all-wheel drive) including active safety tech, heated seats, power moonroof, Apple CarPlay/Android Auto capability, and keyless ignition. 2019 Nissan Rogue SV: $27,215 (plus $1,350 for all-wheel drive) including active safety tech, Apple CarPlay/Android Auto capability, and keyless ignition. 2019 Subaru Forester Premium: $27,670 (all-wheel drive standard) including active safety tech, power moonroof, and Apple CarPlay/Android Auto capability. 2019 Chevrolet Equinox LT: $28,295 (plus $1,700 for all-wheel drive) including Apple CarPlay/Android Auto capability and keyless ignition. 2019 Jeep Cherokee Latitude Plus: $27,990 (plus $1,500 for all-wheel drive) including Apple CarPlay/Android Auto capability and keyless ignition. Note that 2019 Ford Escape and 2019 Toyota RAV4 prices were not available when this article was published. Live in a warm climate and want to keep the price under $25,000? It’s possible to find a 2019 Chevrolet Equinox for a hair under $24,995, but you’ll have to settle for silver or white. 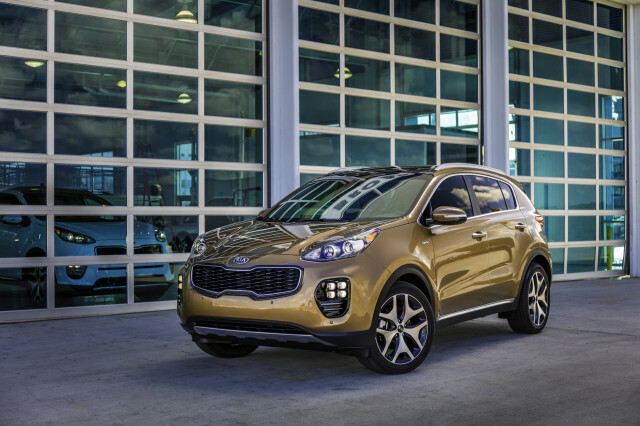 A better bet might be the Kia Sportage LX, which for $24,745 can be had in six colors. If interior space isn’t a major priority, the Hyundai Tucson costs about $1,200 less. 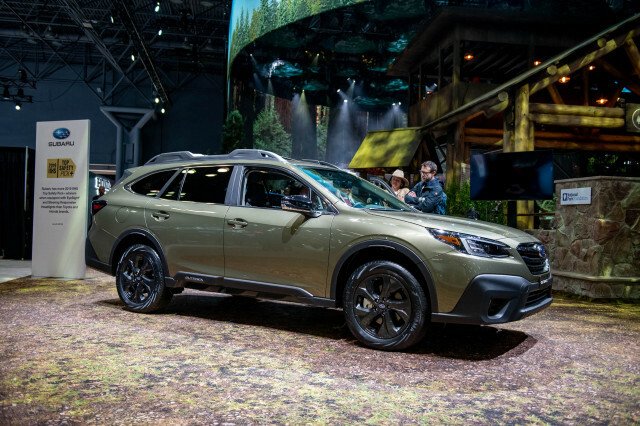 If winter means more than stringing lights around the palm tree in your front yard, the base 2019 Subaru Forester costs $25,270 with standard all-wheel drive. Just don’t look for a front-wheel-drive version. What we’d buy: The Kia Sportage in Burnished Copper Metallic. Might as well make a statement, right? 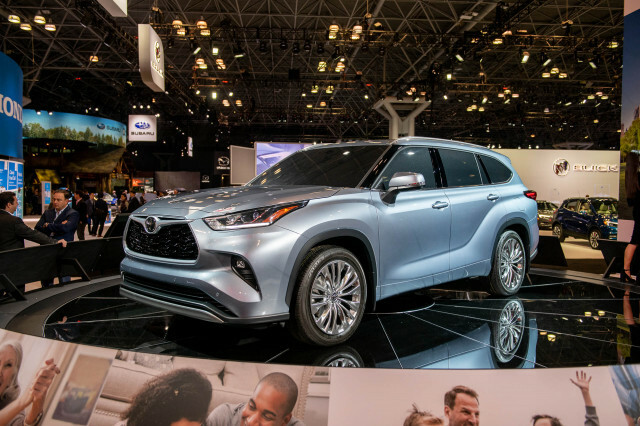 There are three schools of thought when it comes to compact crossover SUV frugality: hybrid, diesel, or conventional gas engine. The front-wheel-drive Nissan Rogue Hybrid is rated at 34 mpg combined, making it the least-thirsty compact crossover. All-wheel drive dents that figure to 33 mpg combined. It’ll take some time for diesel versions of the 2019 Chevrolet Equinox and GMC Terrain to pay out, but their 32-mpg combined rating is impressive. The diesel engine costs a hefty $2,400 over the base gas engine on those two. 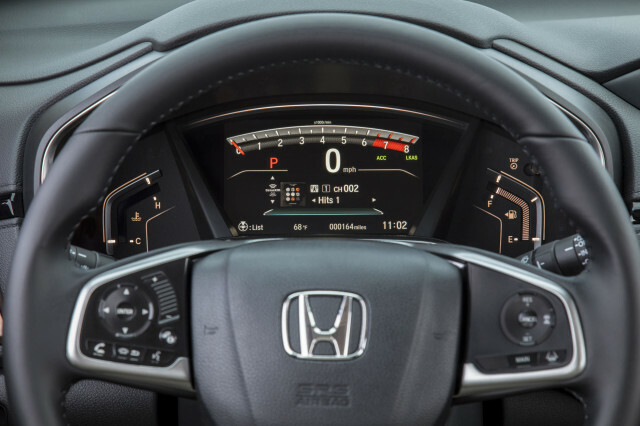 According to the EPA’s fuel-economy test, the 2019 Honda CR-V with front-wheel drive is the greenest conventionally powered model at 30 mpg combined. Opt for all-wheel drive and both the CR-V and Subaru Forester are rated at 29 mpg combined. What we’d buy: Unless you’re planning to put a lot of miles on your crossover SUV annually, the CR-V and Forester will be less costly to drive than the complex hybrids and expensive diesels. 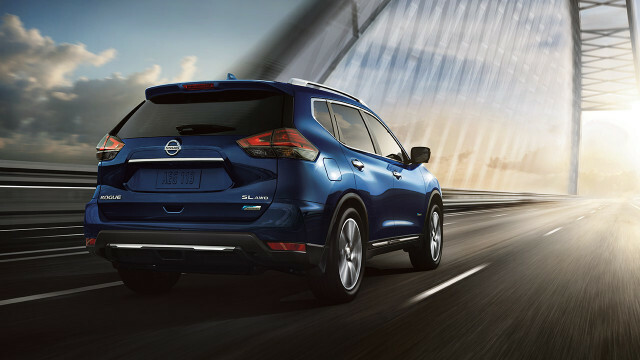 Select a $1,800 package on the 2019 Nissan Rogue SV and the automaker will build in its ProPilot Assist tech, which uses various sensors to keep the Rogue between the lines and away from other cars at highway speeds. 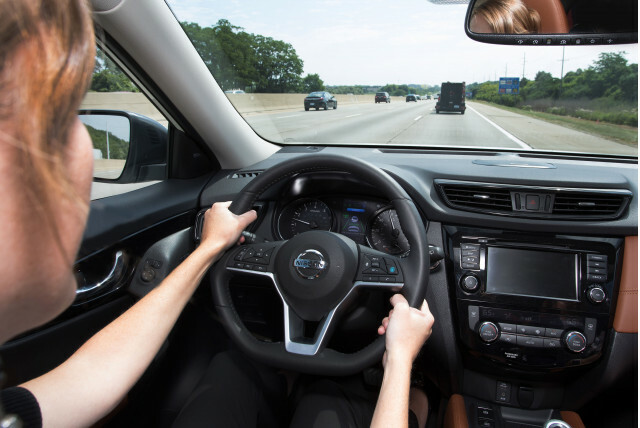 The system even allows for limited “hands off” driving. It’s not meant to allow drivers to read a newspaper while behind the wheel, but it reduces some driving stress. Last year, the system was a costly option on the Rogue SL trim level, but the $1,800 Premium Package adds ProPilot Assist as well as navigation and a memory driver’s seat. Although automatic emergency braking, adaptive cruise control, and active lane control are standard on a number of the Rogue’s rivals, no direct competitor offers the same level of tech. What we’d buy: The Nissan Rogue has self-driving tech not found in luxury rivals costing two or three times as much. Many shoppers look to crossover SUVs for their rugged image, even if they don’t plan to go further than the Sam’s Club parking lot. 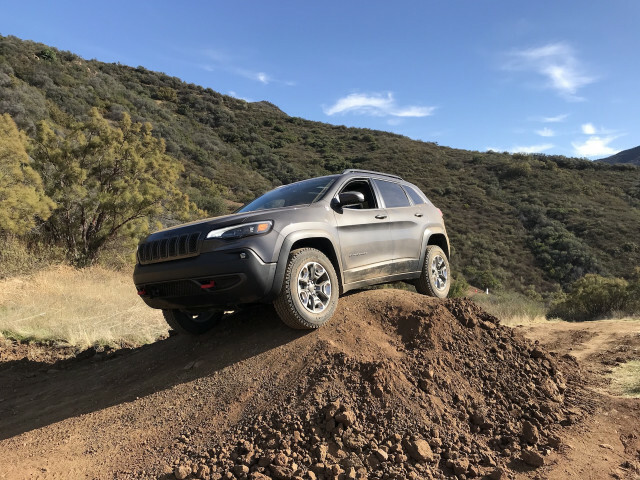 Only the Jeep Cherokee Trailhawk offers serious mud-plugging capability with its various off-road traction control modes and its knobby tires. 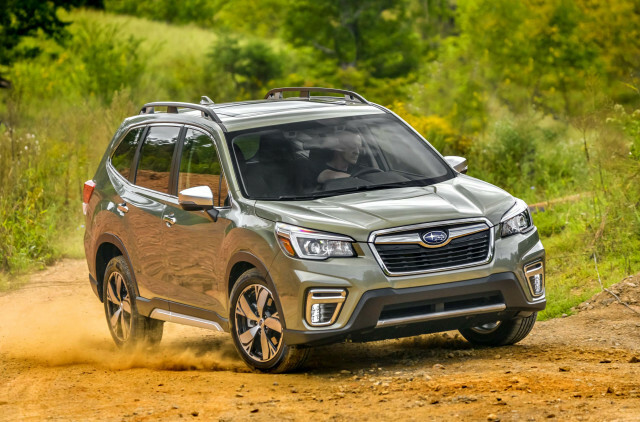 The Subaru Forester comes closest to matching the Jeep with its 8.7 inches of ground clearance and X-Mode button that reworks the traction control system for slippery conditions. If it’s just the look you’re after, some crossover SUVs have woodsy brown leather interior options—but be advised that they’re usually part of costly option packages. On the 2019 Subaru Forester, brown leather comes standard on the range-topping Touring trim for about $35,300. For about $32,000 (plus about $1,800 for all-wheel drive), the Chevy Equinox Premier can be ordered with brown leather. The VW Tiguan can be fitted with orange and black leather—yes, really—but only on the $37,245 SEL Premium trim level. What we’d buy: The Subaru Forester will go further than most owners will take it, making it an easy choice for backwoods exploration. If it’s performance you’re after, only a handful of compact crossover SUVs will do the trick. With their optional turbocharged engines, the Ford Escape, Chevrolet Equinox, and GMC Terrain are the straight-line performance champs. Look to the Escape Titanium for about $33,200 for its 2.0-liter turbo-4 rated at a hefty 245 horsepower. 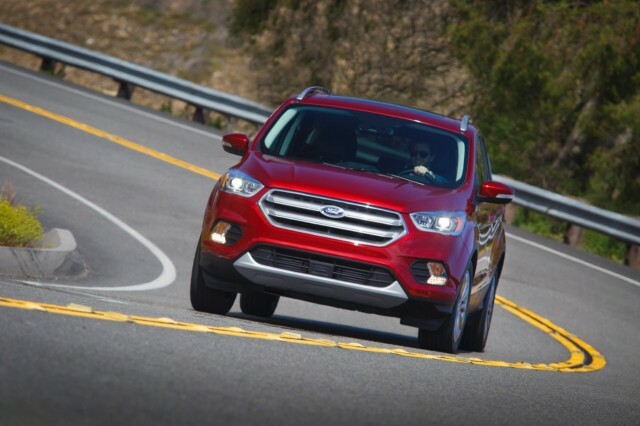 The Escape’s balanced chassis and linear, direct steering make it a hoot to drive. Chevy and GMC offer a 252-hp turbo-4 in their compact crossover SUVs, but their suspensions are tuned more for comfort than for corner carving. The Mazda CX-5 won’t win a drag race with its 187-hp 2.5-liter inline-4, but loads of steering feel and a taut suspension make it the curvy road choice. What we’d buy: At about $26,500 with all-wheel drive, the CX-5 Sport is fun and frugal.